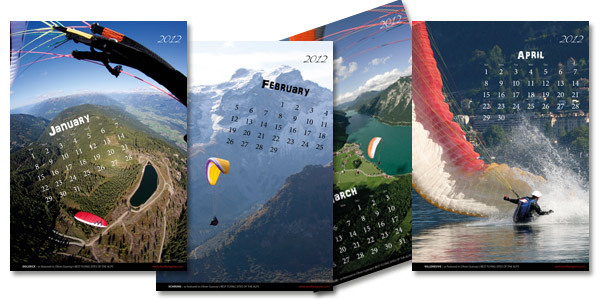 Designed to show off the best sites from the companion book (Best Flying Sites of the ALPS by Oliver Guenay), the calendar is A3 size (420mm tall, 297mm wide) with full-frame photos and minimalistic calendar overlay design that leaves lots of space for sunshine, wind, air and (if you listen carefully) the sound of gliding wings. 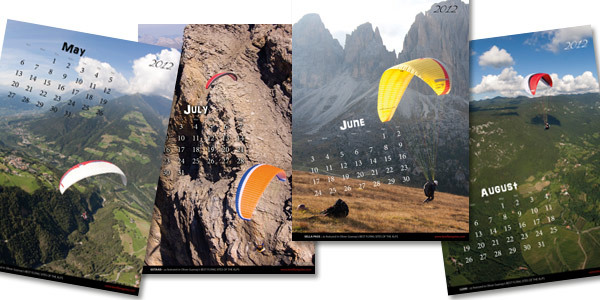 A picture says a thousand words ... let this beautiful calendar whisper to you about the flying that awaits in the majestic Alps. 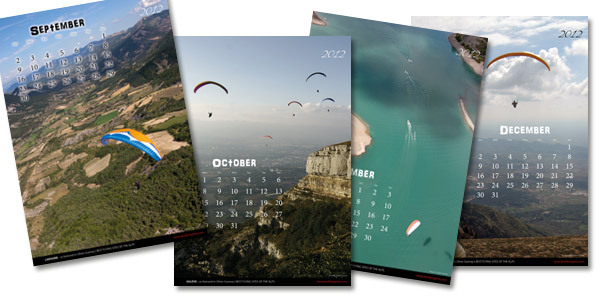 Printed on art paper, with a spiral binding and hanging hook.